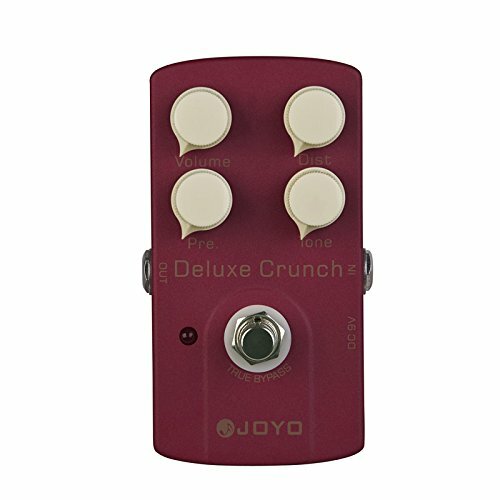 The Joyo Deluxe Crunch JF-39 may be Joyo's finest pedal. It's has both a Preamp Overdrive and a Distortion control for the ability to blend both into your signal. But really it's about the sound, and the Deluxe Crunch sounds massive and timeless. Less harsh than a Rat or Boss DS-1. A very fluid and musical effect that works with with any genre of guitar playing. The Tone knob really changes the character of the sound, and minor adjustments can yield large variations in sound.